Ulbrich, Richard J. Jr., - 58, of Hudson, passed away on Friday, March 29, 2019 in Hudson Florida. He was born on February 11, 1961 in Millville New Jersey to Richard and Bertha Ulbrich. Ricky spent most of his childhood in North Cape May New Jersey, but did spend a few summers in New Port Richey Florida with his Aunt Jeannette and Uncle Fred Cubernot. He later moved to Wildwood New Jersey and worked a variety of seasonal jobs along the shore. The job he loved the most was working on the fishing boats. In 2001, Ricky left New Jersey and became a resident of Hudson Florida and worked as a mechanic at the Hudson Bowling Alley. 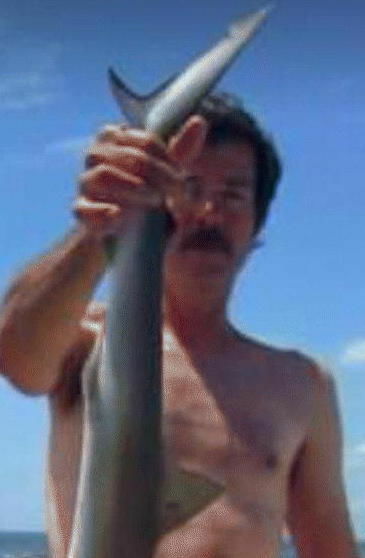 Ricky's number one passion in life was fishing. He enjoyed being by the water and never missed the opportunity to go on a boat excursion. Ricky always loved a good party, and hanging out with friends and family. He was notorious for telling jokes and playing pranks on unsuspecting friends and relatives. Ricky spent many Sundays watching football and playing poker. He remained a loyal Philadelphia Eagles fan his entire life. He is survived by his wife Kathy (Kramer) Ulbrich, sons Richard Ulbrich III and Christopher McIntyre, father Richard Ulbrich, step-mother Kathy Ulbrich, sisters Theresa Bieniecki, Brenda Boyle, Kimberly Miller, Christina Naylor, Patti Ulbrich, Marianne Erhart, and Marie Ulbrich, uncle Kurt (Josephine) Ulbrich, six cousins, nine nieces, five nephews, 10 great nieces, four great nephews, three step-children, and 10 step-grandchildren. He was preceded in death by mother Bertha Haney, son Brian DiSaro, and grandson Elijah Ulbrich. The family will be hosting a Celebration of Ricky's Life at a later time. Arrangements by Michels & Lundquist in New Port Richey, FL.